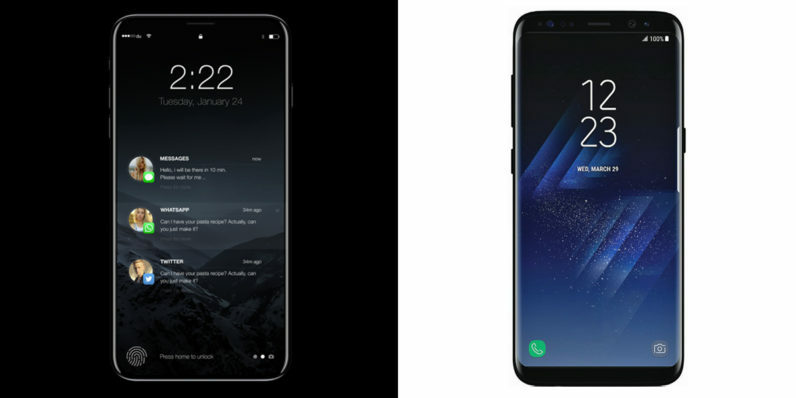 Earlier this year reports suggested Samsung had reached an agreement with Apple that would see the South Korean manufacturer craft a large batch of OLED screens for the iPhone 8 – but it seems some of the new display tech could also land on the upcoming Galaxy S8. Citing an undisclosed industry insider, local outlet The Investor reports Samsung’s display division is working on incorporating a pressure-sensitive sensor for 3D Touch into the panel. Apple previously included the feature in the iPhone 6S, but now it appears it could be coming to the new S8 too. While Huawei has already showcased pressure-sensitive OLED screens with its Mate S and P9 handsets, Samsung could turn the tech up a notch. “The latest technology boasts higher sensitivity and a wider range of pressure-sensing levels compared to the previous one used in Huawei’s P9 in 2015,” the source further told The Investor. It seems the revamped Galaxy S8 might support the functionality only to a limited degree though. In light of scrapping the physical home button, Samsung is expected to partly use the 3D Touch functionality for “virtual” on-screen keys. Interestingly, the publication suggests the Korean phonemaker will likely integrate the pressure-sensitive display tech much more extensively in future releases – like the Galaxy Note 8, for instance. This is hardly the first time Samsung has been said to be toying around with pressure-sensitive panel solutions. The company was previously expected to introduce the feature to the Galaxy S7 and more recently to its S8 descendant. This latest report simply adds more credence to the speculation. The South Korean behemoth is slated to unveil its new flagship device later this month on March 29 – but you will have to wait till late April to actually get your hands on one.